[News] New Book - Computer Networks: An Open Source Approach Ship It! YING-DAR LIN is a Distinguished Professor of computer science at National Chiao Tung University (NCTU), Taiwan. He received his Ph.D. in computer science from the University of California at Los Angeles (UCLA) in 1993. He was a visiting scholar at Cisco Systems in San Jose during 2007–2008, CEO at Telecom Technology Center, Taiwan, during 2010-2011, and Vice President of National Applied Research Labs (NARLabs), Taiwan, during 2017-2018. Since 2002, he has been the founder and director of Network Benchmarking Lab (NBL, www.nbl.org.tw), which reviews network products with real traffic and automated tools, and has been an approved test lab of the Open Networking Foundation (ONF) since July 2014. He also cofounded L7 Networks Inc. in 2002, later acquired by D-Link Corp, and O’Prueba Inc. in 2018. His research interests include network security, wireless communications, and network softwarization. His work on multi-hop cellular was the first along this line, and has been cited over 850 times and standardized into IEEE 802.11s, IEEE 802.15.5, IEEE 802.16j, and 3GPP LTE-Advanced. He is an IEEE Fellow (class of 2013), IEEE Distinguished Lecturer (2014–2017), ONF Research Associate, and received in 2017 Research Excellence Award and K. T. Li Breakthrough Award. He has served or is serving on the editorial boards of several IEEE journals and magazines, and is the Editor-in-Chief of IEEE Communications Surveys and Tutorials (COMST). He published a textbook, Computer Networks: An Open Source Approach (www.mhhe.com/lin), with Ren-Hung Hwang and Fred Baker (McGraw-Hill, 2011). Distinguished Professor, Department of Computer Science, National Chiao Tung University, Hsinchu, Taiwan, 2/2014~present (Professor, 1999~2013, Associate Professor, 1993~1999). Vice President, National Applied Research Labs (NARLabs), Taiwan, 8/2017~7/2018. CEO, Telecom Technology Center (TTC, www.ttc.org.tw), Taipei, Taiwan, 8/2010~5/2011. Visiting Scholar, Cisco Systems, San Jose, USA, 7/2007~7/2008. Co-Founder, L7 Networks, Hsinchu, Taiwan, 2002~2003. Editor-in-Chief, IEEE Communication Surveys and Tutorials (COMST), 1/2017~. Associate Editor, IEEE Transactions on Sustainable Computing, 1/2017~. Associate Editor, IEICE Transactions on Communications, 5/2015~present. Associate Editor, Jounal of Network and Computer Applications (JNCA, Elsevier), 1/2014~present. Associate Editor, IEEE Wireless Communications, 1/2013~present. Associate Editor, IEEE Network, 3/2011~present. Series Editor, IEEE Communications Magazine – Network Test Series, 1/2010~present. Area Editor, Computer Networks (Elsevier), 1/2010~present. Area Editor, Computer Communications (Elsevier), 1/2010~present. Editor, IEEE Communications Surveys and Tutorials, 1/2008~present. Associate Editor, IEEE Transactions on Computers, 1/2011~5/2015. Associate Editor, IEICE Transactions on Information and Systems, 11/2011~present. Associate Editor, IEEE Communications Magazine, 1/2008~12/2010. Guest Editor: Special Issue on "Special Issue on IoT: Protocol Stack, Cross-Layer, and Power Consumption Issues," IEEE Wireless Communications, Publication Date: June 2017. Guest Editor, Special Issue on "Network Forensics and Surveillance for Emerging Networks," IEEE Network, Publication Date: Nov. 2016. Guest Editor, Special Issue on "Cloud Security," IEEE Cloud Computing, Publication date: Oct. 2016. Guest Editor, Special Issue on “Cloud Security,” IEEE Cloud Computing, Publication date: Sept./Oct. 2016. Lead Guest Editor, Special Issue on “Communications and Privacy under Surveillance,” IEEE Computer, Publication date: Mar. 2016. Guest Editor, Special Issue on "Security and Privacy in Unified Communications: Challenges and Solutions," Computer Communications, Publication date: Q3 2015. Lead Guest Editor, Special Issue on "Software Defined Networking: Standardization," IEEE Computer, Publication date: November 2014. Lead Guest Editor, Special Issue on "Traffic Forensics: Systems, Tools, and Experimentations," IEEE Systems Journal, Publication date: early 2015. Lead Guest Editor, Special Issue on "Deep Packet Inspection: Algorithms, Hardware, and Applications," IEEE Journal on Selected Areas in Communications, Publication date: Q1 2015. Lead Guest Editor, Special Issue on "Multi-Hop Cellular: From Research to Systems, Standards, and Applications," IEEE Wireless Communications, Publication date: October 2014. Lead Guest Editor, Feature Topic on "Mobile Application Security: Methodologies and Solutions," IEEE Computer, Publication date: March 2014. Lead Guest Editor, Special Issue on "Open Source for Networking: Development and Experimentation," IEEE Network, Publication date: March 2014. Symposia Chair of Organizing Committee, IEEE Globecom 2019, Big Island, Hawaii, December 2019. Workshops Chair of Organizing Committee, IEEE Globecom 2018, Abu Dhabi, December 2018. Program Committee Member, International Conference on Security and Privacy in Vehicular Networks (SPVAN), Dec. 2016. Program Committee, Member, 22nd Asia-Pacific Conference on Communications (APCC), Yogyakarta-Indonesia, August 2016. Program Committee Member, 5th International Conference on Pervasive and Embedded Computing and Communications Systems (PECCS), Loire Valley, France, Feb. 2015. Program Committee Member, IEEE Globecom Communications & Information Systems Security, San Diego, USA, Dec. 2015. Program Committee Member, CANDAR, Japan, Dec. 2013/2014/2015. Publicity Co-Chair, First IEEE Conference on Network Function Virtualization and Software Defined Networks (IEEE NFV-SDN), San Francisco, USA, Nov. 2015. Program Committee Member, IEEE WiMob, Abu Dhabi, UAE, Oct. 2015. Program Co-Chair, IEEE ICC 2015 Next-Generation Networking Symposium, London, UK, June 2015. Program Co-Chair, IEEE Globecom 2013 Next-Generation Networking Symposium, Atlanta, USA, Dec. 2013. Secretary, IEEE Technical Committee on High Speed Networks, 2010~2014. Program Committee Member, IEEE WoWMoM, San Francisco, USA, June 2012. Program Committee Member, ICNC, Maui, Hawaii, USA, Jan. 2012. Program Committee Member, IEEE Globecom, Houston, USA, Dec. 2011. Program Committee Member, IEEE CloudCom, Athens, Greece, Nov. 2011. Program Committee Member, IEEE WoWMoM, Lucca, Italy, June 2011. Program Committee Member, DCPerf (Data Center Performance), Minneapolis, USA, June 2011. Program Committee Member, IEEE ICCCN, Honolulu, USA, Aug. 2007. Program Co-Chair, International Computer Symposium, Taipei, Taiwan, Dec. 2006. Chairman, ACM ICPC Taiwan Council (http://acm-icpc.tw/), 2009~present; launched a world-wide unique distributed programming exam: CPE (Collegiate Programming Exam), held quarterly with over 1800 students in over 45 universties. CEO, Telecom Technology Center (TTC, www.ttc.org.tw), Taipei, Taiwan, May 2010~ May 2011. Chairman, Cisco Networking Academy Taiwan Council, 2008~2010. Director, Information Technology Service Center (ITSC), National Chiao Tung University, 2007~2010. Founding Director, Network Engineering Institute, National Chiao Tung University, 2005~2007. Distinguished Research Award (傑出研究獎), Ministry of Science and Technology, Taiwan, 4/2017. K. T. Li Breakthrough Award (李國鼎穿石獎), Institute of Information and Computing Machinery, 3/2017. IEEE ComSoc Distinguished Lecturer, 2014 ~ 2017. Distinguished Professor, National Chiao Tung University, Feb. 2014~present. Research Associate, Open Networking Foundation (ONF), June 2014~present. IEEE Fellow, class of 2013 in IEEE Communications Society, for contributions to multi-hop cellular communications and deep packet inspection. Best Paper Award, SPECTS (International Symposium on Performance Evaluation of Computer and Telecommunications Systems), July 2012. Founder and Director, NCTU Network Benchmarking Lab (NBL, www.nbl.org.tw), 2002~present; served over 100 companies and tested over 700 networking products, hosting 10~20 full-time engineers and 15~20 students. Consultant, Industrial Technology Research Institute (ITRI), Hsinchu, Taiwan, 2002~2010 & 2015~present. Director, III-NCTU Embedded Benchmarking Lab (EBL, www.ebl.org.tw), 2011~2015; benchmarking, profiling, optimizing execution time and power consumption of handheld devices. Director, D-Link-NCTU Joint Research Lab, National Chiao Tung University, 2007~2010. Director, Realtek-NCTU Joint Research Lab, National Chiao Tung University, 2006~2009. Outstanding Individual Contribution, Cisco Networking Academy, Nov. 2008. Visiting Scholar, Cisco Systems, San Jose, July 2007~July2008. IT Elite Award, IT Month of Taipei Computer Association, Dec. 2007. Open Source Contribution Award, Taipei Computer Association, Dec. 2007. TIC100 (Technology Innovation Competition) Championship Award, Advantech, Feb. 2002. Keynote speech, IEEE Conference on Open Systems (ICOS), Langkawi, Malaysia, November 21, 2018, Topic: 5G Mobile Edge Computing: Virtualization, Open Source, and Security Issues, Host: Prof. Ali Selamat, University of Technology, Malaysia (UTM). Invited talk, Hasselt University, October 11, 2018, Topic: 5G-Coral: Research Roadmap and Results on 5G Mobile Edge Computing, Host: Prof. Luc Claesen. Invited talk, Delft University of Technology (TU Delft), October 10, 2018, Topic: 5G-Coral: Research Roadmap and Results on 5G Mobile Edge Computing, Host: Prof. Venkatesha Prasad and Prof. Fernando Kuipers. Invited talk, IEEE Taiwan Academic Seminars, NCTU, Hsinchu, May 28, 2018, Topic: Sharing Experiences on International Academic Services and Research. Invited talk, Hanoi University of Science and Technology (HUST), Hanoi, Vietnam, May 7, 2018, Topic: 5G Mobile Edge Computing: 3-tier Capacity and Traffic Optimization for Cloud, Edge, and Fog, Host: Prof. Huynh Thi Thanh Binh. Invited talk, Vietnam National University (VNU), Hanoi, Vietnam, May 7, 2018, Topic: 5G Mobile Edge Computing: 3-tier Capacity and Traffic Optimization for Cloud, Edge, and Fog, Host: Prof. Dinh Thi Thai Mai. Keynote speech, 8th International Symposium on Information and Communication Technology (SoICT), Dec. 7-8, 2017, Topic: Network Cloudification: SDN-NFV and 5G-MEC with Edge and Fog Computing, Host: Prof. Host: Prof. Huynh Thi Thanh Binh, Hanoi University of Science and Technology (HUST). Keynote speech, International Telecommunication Networks and Applications Conference (ITNAC), Melbourne, Australia, November 22-24, 2017, Topic: Network Cloudification: SDN-NFV and 5G-MEC with Edge and Fog Computing, Host: Prof. Mark Gregory, Royal Melbourne Institute of Technology (RMIT). IEEE ComSoc Distinguished Lecture Tour (DLT), May 18-28, 2017. Delft University of Technology (TU Delft), Delft, Netherlands, May 19, 2017, Topic: Network Cloudification: SDN-NFV and 5G-MEC with Edge and Fog Computing, Host: Prof. Venkatesha Prasad. Univ. of Paerre and Marie Curie (UPMC) – LIP6, Paris, France, May 22, 2017, Topic: Network Cloudification: SDN-NFV and 5G-MEC with Edge and Fog Computing, Host: Prof. Stefano Secci. SudParis, Paris, France, May 24, 2017, Topic: Network Cloudification: SDN-NFV and 5G-MEC with Edge and Fog Computing, Host: Prof. Maryline Laurent. University of Carlos III Madrid (UC3M), Madrid, Spain, May 26, 2017, Topic: Network Cloudification: SDN-NFV and 5G-MEC with Edge and Fog Computing, Host: Prof. Antonio Oliva. IEEE ComSoc Distinguished Lecture Tour (DLT), Feb. 26 – Mar. 7, 2017. Hanoi National University of Education (HNUE), Hanoi, Vietnam, Feb. 27, 2017, Topic: Network Cloudification: From SDN-NFV and 5G-MEC to Their Modeling and Optimization, Host: Prof. Pham Tuan Minh. Hanoi University of Science and Technology (HUST), Hanoi, Vietnam, Feb. 27, 2017, Topic: Network Cloudification: From SDN-NFV and 5G-MEC to Their Modeling and Optimization, Host: Prof. Huynh Thi Thanh Binh. Vietnam National University (VNU), Hanoi, Vietnam, Feb. 28, 2017, Topic 1: Network Cloudification: From SDN-NFV and 5G-MEC to Their Modeling and Optimization, Topic 2: Sharing Experiences on International Academic Services and Research, Host: Prof. Tran Duc-Tan. Ho Chi Ming University of Technology (HCMUT), Ho Chi Ming, Vietnam, Mar. 2, 2017, Topic 1: Network Cloudiciation: From SDN-NFV and 5G-MEC to Their Modeling and Optimization, Topic 2: Sharing Experiences on International Academic Services and Research, Host: Prof. Nam Thoai. Can Tho University (CTU), Can Tho, Vietnam, Mar. 3, 2017, Topic 1: Network Cloudiciation: From SDN-NFV and 5G-MEC to Their Modeling and Optimization, Topic 2: Sharing Experiences on International Academic Services and Research, Host: Prof. Nguyen Huu Hoa. Keynote speech, 11th Conference on Queuing Theory and Network Applications (QTNA), Wellington, New Zealand, December 14, 2016, Topic: Network Cloudification: From SDN-NFV and 5G-MEC to Their Modeling and Optimization, Host: Prof. Winston Seah. Keynote speech, Taiwan Academic Network Conference (TANET), Hualien, Taiwan, October 20, 2016, Topic: Network Cloudification: Turning Communications into Computing with SDN and NFV, Host: Prof. Sheng-Lung Peng. I2R (Institute for Infocomm Research) at A-Star (Agency for Science, Technology and Research), Singapore, May 20, 2016, Topic: Network Cloudification: Turning Communications into Computing with SDN and NFV, Host: Dr Yixin Wang. Nanyang Technological University (NTU), Singapore, May 20, 2016, Topic: Network Cloudification: Turning Communications into Computing with SDN and NFV, Hosts: Prof. Maode Ma and Prof. Yong Liang Guan. University Tunku Abdul Rahman (UTAR), Ipoh, Malaysia, May 23, 2016, Topic 1: Network Cloudification: Turning Communications into Computing with SDN and NFV, Topic 2: Sharing Experiences on International Academic Services and Research, Hosts: Prof. Soung Yue Liew and Prof. Hock Guan Goh. Thai-Nishi Institute (TNI), Bangkok, Thailand, May 27, 2016, Topic: Network Cloudification: Turning Communications into Computing with SDN and NFV, Hosts: Prof. Ruttikorn Varakulsiripunth and Prof. Ekarat Rattagan. Keynote speech, International Conference on Networking Systems and Security (NSysS), Dhaka, Bangladesh, January 8, 2016, Topic: Software Defined Networking: The 2nd Wave of Cloud Computing, Host: Prof. Mohammed Atiquzzaman. IEEE ComSoc Distinguished Lecture Tour (DLT), in Chile, Argentina, and Uruguay, Sept. 10-20, 2015. University of Diego Portales (UDP), Santiago, Chile, Sept. 11, 2015, Topic: Software Defined Networking: The 2nd Wave of Cloud Computing, Host: Director Pedro Aguilera and Prof. Diego Dujovne. University of Buenos Aires, Buenos Aires, Sept. 14, 2015, Topic: Software Defined Networking: The 2nd Wave of Cloud Computing, Host: Director Jorge Hedderwick and Prof. Richardo Veiga. University of Montevideo, Montevideo, Uruguay, Sept. 17, 2015, Topic: Software Defined Networking: The 2nd Wave of Cloud Computing, Host: Director Gustavo Giannattasio. IEEE ComSoc Distinguished Lecture Tour (DLT), in New Zealand, Aug. 16-25, 2015. University of Canterbury, Christchurch, New Zealand, Aug. 17, 2015, Topic: Software Defined Networking: The 2nd Wave of Cloud Computing, Host: Prof. Harsha Sirisena. Victoria University of Wellington, Wellington, New Zealand, Aug. 20, 2015, Topic: Research Roadmap Driven by Network Benchmarking Lab: Deep Packet Inspection, Traffic Forensics, WLAN/LTE, Embedded Benchmarking, Software Defined Networking, and Beyond, Host: Dr Terrence Betlehem. Auckland University of Technology, Auckland, New Zealand, Aug. 25, 2015, Topic: Research Roadmap Driven by Network Benchmarking Lab: Deep Packet Inspection, Traffic Forensics, WLAN/LTE, Embedded Benchmarking, Software Defined Networking, and Beyond, Host: Prof. Nurul Sarkar. IEEE ComSoc Distinguished Lecture Tour (DLT), in UK, Spain, and Belgium, June 11-23, 2015. University of Surrey, London, UK, June 11, 2015, Topic: Software Defined Networking: The 2nd Wave of Cloud Computing, Host: Prof. Zhili Sun. University of Politechnic Catalunya (UPC), Barcelona, Spain, June 15, 2015, Topic: Software Defined Networking: The 2nd Wave of Cloud Computing, Host: Prof. Josep Sole-Pareta. University of Zaragoza, Zaragoza, Spain, June 17, 2015, Topic: Experience Sharing on International Academic Services and Research, Host: Prof. Jose Saldana. Univertisy of Carlos III Madrid (UC3M), Madrid, Spain, June 19, 2015, Topic: Traffic Forensics: Capture, Replay, Classification, Detection, and Analysis, Host: Prof. Victor P. Gil Jimenez. University of Catholic Louvain (UCL), Louvain, Belgium, June 23, 2015, Topic: Research Roadmap Driven by Network Benchmarking Lab: Deep Packet Inspection, Traffic Forensics, WLAN/LTE, Embedded Benchmarking, Software Defined Networking, and Beyond, Host: Prof. Marco Canini. Invited talk, Thammasat University (TU), Bangkok, Thailand, Apri 21, 2015, Topic: Experience Sharing on International Academic Services and Research, Host: Prof. Yaowadee Temtanapat. Invited talk, Kasetsart University (KU), Bangkok, Thailand, April 20, 2015, Topic: Software Defined Networking, The 2nd Wave of Cloud Computing, Host: Prof. Anan Phonphoem. IEEE ComSoc Distinguished Lecture Tour (DLT), in California, Oklahoma, and Texas, Dec. 4-12, 2014. Naval Postgraduate School (NPS), Monterey, USA, Dec. 4, 2014, Topic: Network Forensics: Capture, Replay, Classification, Detection, and Analysis, Host: Prof. Preetha Thulasiraman. San Jose State University, San Jose, USA, Dec. 5, 2014, Topic: Network Forensics: Capture, Replay, Classification, Detection, and Analysis, Host: Prof. Xiao Su. University of Oklahoma, Oklahoma City, USA, Dec. 8, 2014, Topic: Software Defined Networking: Why, Where, When, and How, Host: Prof. Krishnaiya Thulasiraman. IBM Research, Austin, USA, Dec. 12, 2014, Topic: Network Forensics: Capture, Replay, Classification, Detection, and Analysis, Host: Dr John Carter. AT&T Labs, Austin, USA, Dec. 12, 2014, Topic: Network Forensics: Capture, Replay, Classification, Detection, and Analysis, Host: Dr Chris Chase. IEEE Austin Chapter, Dec. 12, 2014, Topic: Software Defined Networking: Why, Where, When, and How, Host: Dr Fawzi Behmann. Keynote speech, International Conference on Information Technology Systems and Innovation (ICITSI), Bandung (Institue of Technology Bandung) and Bali, Indonesia, November 24-26, 2014, Topic: Software Defined Networking: Turning Appliances to Apps, Host: Prof. Ir. Suhardi. IEEE ComSoc Distinguished Lecture Tour (DLT), in Australia, June 13-17, 2014. University of Sydney, Sydney, Australia, June 11, 2014, Topic: Software Defined Networking: Why, When, Where, and How, Host: Prof. Albert Zomaya. Deakin University, Melbourne, Australia, June 14, 2014, Topic: Software Defined Networking: Why, When, Where, and How, Host: Prof. Shui Yu. Swinburne University of Technology, Melbourne, Australia, June 17, 2014, Topic: Software Defined Networking: Why, When, Where, and How, Host: Prof. Grenville Armitage. Invited talk, University of Southern Carolina, Columbus, USA, Dec. 13, 2013, Topic: Research Roadmap Driven by Network Benchmarking Lab, Host: Prof. Chin-Tser Huang. Keynote speech, CANDAR’13, Matsuyama, Japan, Dec. 4, 2013, Topic: Research Roadmap Driven by Network Benchmarking Lab, Host: Prof. Satoshi Fujita. Ying-Dar Lin, Shih-Kuen Huang, Chang-Biau Yang, Jeng-Sheng Yeh, Yuh-Pyng Shieh, "Collegiate Programming Exam: CPE Handbook," McGraw-Hill Taiwan, February 2013. Ying-Dar Lin, Ren-Hung Hwang, Fred Baker, "Computer Networks: An Open Source Approach," McGraw-Hill, Feburary 2011. Yi-Neng Lin, Shih-Hsin Chien, Ying-Dar Lin, Yuan-Cheng Lai, Mingshou Liu, "Dynamic Bandwidth Allocation for 802.16e-2005 MAC," Book Chapter of "Current Technology Developments of WiMax Systems," Springer, 2008. Ying-Dar Lin, "Computer Network Experiments," NCTU Publishing, September 2007. Deepak Singh, Bryan Ng, Yuan-Cheng Lai, Ying-Dar Lin, Winston K. G. Seah, "Analytical Modelling of Software and Hardware Switches with Internal Buffer in Software-Defined Networks," Journal of Network and Computer Applications, to appear. Yuan-Cheng Lai, Ahsan Ali, Md. Shohrab Hossain and Ying-Dar Lin, "Performance Modeling and Analysis of TCP and UDP Flows over Software Defined Networks," Journal of Network and Computer Applications, Jan 2019. Yao-Chun Wang, Ying-Dar Lin, Guey-Yun Chang, "SDN-based Dynamic Multipath Forwarding for Inter-datacenter Networking," International Journal of Communication Systems, Oct 2018. Ying-Dar Lin, Hsu-Tung Chien, Hsien-Wen Chang and Chia-Lin Lai, "Multi-operator Fairness in Transparent RAN Sharing by Soft-partition with Blocking and Dropping Mechanisms," IEEE Transactions on Vehicular Technology, Sep 2018. Deepak Singh, Bryan Ng, Yuan-Cheng Lai, Ying-Dar Lin, Winston K. G. Seah, "Modelling Software-Defined Networking: Software and hardware switches," Journal of Network and Computer Applications, Aug 2018. Chih-Chiang Wang, Ying-Dar Lin, Jang-Jiin Wu, Po-Ching Lin, Ren-Hung Hwang,"Towards Optimal Resource Allocation of Virtualized Network Functions for Hierarchical Datacenters,"IEEE Transactions on Network and Service Managment, Aug 2018. Ying-Dar Lin, Yuan-Cheng Lai, Chien-Hsin Huang, and Hsu-Tung Chien,"Three-Tier Capacity and Traffic Allocation for Core, Edge, and Devices for Mobile Edge Computing,"IEEE Transactions on Network and Service Management, Jul 2018. Ekarat Rattagan, Ying-Dar Lin, Yuan-Cheng Lai, Edward T.H. Chu, and Kate Ching-Ju Li,"Clustering and Symbolic Regression for Power Consumption Estimation on Smartphone Hardware Subsystems," IEEE Transactions on Sustainable Computing, May 2018. Ying-Dar Lin, Edward T.-H. Chu, Chien-Ling Wen, Yuan-Cheng Lai, I-Ching Chen, "Benchmarking Handheld Graphical User Interface: Smoothness Quality of Experience," Elsevier Computers and Electrical Engineering, May 2018. Minh-Tuan Thai, Ying-Dar Lin, Po-Ching Lin, Yuan-Cheng Lai, "Towards Load-balanced Service Chaining by Hash-based Traffic Steering on Softswitches," Journal of Network and Computer Applications, May 2018. Ahmed Fahmin, Yuan-Cheng Lai, Md. Shohrab Hossain, Ying-Dar Lin, "Performance Modeling and Comparison of NFV Integrated with SDN: Under or Aside?," Journal of Network and Computer Applications, April 2018. Ying-Dar Lin, Chih-Chiang Wang, Chien-Ying Huang, Yuan-Cheng Lai, "Hierarchical CORD for NFV Datacenters: Resource Allocation with Cost-Latency Tradeoff," IEEE Network, April 2018. Minh-Tuan Thai, Ying-Dar Lin, Yuan-Cheng Lai, "Joint Network and Server Optimization Towards Load-balanced Service Chaining," International Journal of Communication Systems, March 2018. Ying-Dar Lin, Hsu-Tung Chien, Hsien-Wen Chang, Chia-Lin Lai and Kun-Yi Lin, "Transparent RAN Sharing of 5G Small and Macro Cells," IEEE Wireless Communications, Dec. 2017. Ying-Dar Lin, Chun-Hung Hsu, Minh-Tuan Thai, Chien-Ting Wang, Yi-Jen Lu, and Yi-Ta Chiang, "SAMF: An SDN-Based Framework for Access Point Management in Large-scale Wi-Fi Networks," Journal of Communications Software and Systems, Dec. 2017. Ying-Dar Lin, Te-Lung Liu, Jian-Hao Chen, and Yuan-Cheng Lai, "Soft Partitioning Flow Tables for Virtual Networking in Multi-tenant Software Defined Networks," IEEE Transactions on Network and Service Management, Dec. 2017. Binayak Kar, Eric Hsiao-Kuang Wu, and Ying-Dar Lin,"Energy Cost Optimization in Dynamic Placement of Virtualized Network Function Chains," IEEE Transactions on Network and Service Management, Dec. 2017. Ying-Dar Lin, Chih-Chiang Wang, Yi-Jen Lu, Yuan-Cheng Lai, Hsi-Chang Yan, "Two-tier Dynamic Load Balancing in SDN-enabled Wi-Fi Networks," Wireless Networks, Sep. 2017. Ying-Dar Lin, Yu-Kuen Lai, Chen-You Wang, Yuan-Cheng Lai, "OFBench: Performance Test Suite on OpenFlow Switches," IEEE Systems Journal, Jul. 2017. Ying-Dar Lin, Edward T.-H. Chu, Evan Chang, Yuan-Cheng Lai, "Smoothed Graphic User Interaction on Smartphones with Motion Prediction," IEEE Transactions on Systems, Man, and Cybernetics: Systems, Apr. 2017. Ying-Dar Lin, Ren-Hung Hwang, Chun-Nan Lu, Jui-Tsun Hung, "In-Lab Replay Testing under Real Traffic with a Case Study on WLAN Routers," Journal of Internet Technology, March 2017. Ekarat Rattagan, Edward T.-H. Chu, Ying-Dar Lin, and Yuan-Cheng Lai, "SEMI: Semi-online Power Estimates for Smartphone Hardware Components," IEEE Transactions on Sustainable Computing, Dec. 2016. Ying-Dar Lin, Yuan-Cheng Lai, Hung-Yi Teng, Chun-Chieh Liao, and Yi-Chih Kao, "Scalable Multicasting with Multiple Shared Trees in Software Defined Networking," Journal of Network and Computer Applications, Nov. 2016. Po-Ching Lin, Ying-Dar Lin, Cheng-Ying Wu, Yuan-Cheng Lai, Yi-Chih Kao, "Blanced Service Chaining with Traffic Steering in Software Defined Networks with Network Function Virtualization," IEEE Computer, Nov. 2016. Chun-Nan Lu, Chun-Ying Huang, Ying-Dar Lin, Yuan-Cheng Lai, "High Performance Traffic Classification based on Message Size Sequence and Distribution," Journal of Network and Computer Applications, Oct. 2016. Ying-Dar Lin, Chia-Yu Ku, Yuan-Cheng Lai, Yun-Hao Liang, "Wi-Fi Offloading between LTE and WLAN with Combined UE and BS Information," Wireless Networks, Oct. 2016. Ying-Dar Lin, Chun-Ying Huang, Yu-Ni Chang, Yuan-Cheng Lai, "Three-Phase Detection and Classification for Android Malware Based on Common Behaviors," Journal of Communications Software and Systems (JCOMSS), Vol. 12, No. 3, Sept. 2016. Binayak Kar, Eric Hsiao-Kuang Wu and Ying-Dar Lin, "The Budgeted Maximum Coverage Problem in Partially Deployed Software Defined Networks," IEEE Transactions on Network and Service Management, Vol. 13, Issue. 3, Sept. 2016. Chih-Chiang Wang and Ying-Dar Lin, "CDNPatch: A Cost-effective Failover Mechanism for Hybrid CDN-P2P Live Streaming Systems," International Journal of Communication Systems, 2016: 1-17. Hung-Cheng Chang, Kuei-Chung Chang, Ying-Dar Lin, and Yuan-Cheng Lai, "Application Performance Profiling in Android Dalvik Virtual Machines," IEICE Transactions on Information and Systems, Vol.E99-D, No.5, pp.1296-1303, May 2016. Ying-Dar Lin, Ren-Hung Hwang, Raghavendra Kulkarni, Shiau-Huey Wang, Chinyang Henry Tseng, Chun-Hung Hsu, "On Campus IPv6 Beta Site: Requirements, Solutions, and Product Defect Evaluation," Journal of Internet Technology - Vol. 16 No. 7, December 2015. Ying-Dar Lin, Yuan-Cheng Lai, Chun-Nan Lu, Peng-Kai Hsu, Chia-Yin Lee, "Three-phase Behavior-based Detection and Classification of Known and Unknown Malware," Security and Communication Networks, Vol. 8, Issue. 11, July 2015. Ying-Dar Lin, Po-Ching Lin, Chih-Hung Yeh, Yao-Chun Wang, Yuan-Cheng Lai, "An Extended SDN Architecture for Network Function Virtualization with a Case Study on Intrusion Prevention," IEEE Network,Vol. 29, Issue. 3, June 2015. Ying-Dar Lin, Minh-Tuan Thai, Chih-Chiang Wang, Yuan-Cheng Lai, "Two-tier Project and Job Scheduling for SaaS Cloud Service Providers," Journal of Network and Computer Applications, Vol. 56, June 2015. Ying-Dar Lin, Edward T.-H. Chu, Yuan-Cheng Lai, and Ting-Jun Huang, "Time-and-Energy Aware Computation Offloading in Handheld Devices to Coprocessors and Clouds," IEEE Systems Journal, Vol. 9, No. 2,June 2015. Chun-Ying Huang, Ying-Dar Lin, Peng-Yu Liao, and Yuan-Cheng Lai, "Stateful Traffic Replay for Web Application Proxies," Security and Communication Networks, Vol. 8, Issue. 6, April 2015. Cheng-Hsien Lin, Ren-Hung Hwang, Jang-Jiin Wu, Jeng-Farn Lee, and Ying-Dar Lin, "Integration of Spatial Reuse and Allocation for Downlink Broadcast in LTE-Advanced and WiMAX Relay Networks," IEEE Transactions on Vehicular Technology, Vol. 64, Issue.11, December 2014. Li-Ping Tung, Ying-Dar Lin, Yu-Hsien Kuo, Yuan-Cheng Lai, Krishna Sivalingam, "Reducing Power Consumption in LTE Data Scheduling with the Constraints of Channel Condition and QoS," Computer Networks, Vol. 75, Part A,24, December 2014. Ying-Dar Lin, Yi-Ta Chiang, Yu-Sung Wu, Yuan-Cheng Lai, "Automatic Analysis and Classification of Obfuscated Bot Binaries," International Journal of Network Security, Vol. 16, No. 6, November 2014. Kuochen Wang, Chun-Ying Huang, Li-Yang Tsai, Ying-Dar Lin, "Behavior-based Botnet Detection in Parallel," Security and Communication Networks, Volume 7, Issue 11, Nov 2014. Ying-Dar Lin, Jose F. Rojas, Edward T.-H. Chu, and Yuan-Cheng Lai, "On the Accuracy, Efficiency, and Reusability of Automated Test Oracles for Android Devices," IEEE Transactions on Software Engineering, Vol. 40, No. 10, Oct 2014. Ying-Dar Lin, Yuan-Cheng Lai, Chun-Nan Lu, Jui-Tsun Hung, Chun-Pin Shao, “Traffic Diversity and Code Coverage: A Preliminary Analys,” International Journal of Communication Systems, Oct. 2014. Ying-Dar Lin, Ekarat Rattagan, Yuan-Cheng Lai, Li-Pin Chang, Yun-Chien Yo, Cheng-Yuan Ho, and Shun-Lee Chang, "Calibrating Parameters and Formulas for Process-level Energy Consumption Profiling in Smartphones," Journal of Network and Computer Applications, Vol. 44, Sep. 2014. Ying-Dar Lin, "Research Roadmap Driven by Network Benchmarking Lab(NBL): Deep Packet Inspection, Traffic Forensics, Embedded Benchmarking, Software Defined Networking and Beyond, International Journal of Networking and Computing(IJNC)," Vol. 4, No. 2, June 2014. Ying-Dar Lin, Po-Ching Lin, Yu-An Lin, Yuan-Cheng Lai, "On-The-Fly Capture and Replay Mechanisms for Multi-port Network Devices in Operational Networks," IEEE Transactions on Network and Service Management, Vol. 11, No. 2, June 2014. Ying-Dar Lin, Po-Ching Lin, Sheng-Hao Wang, I-Wei Chen, Yuan-Cheng Lai, "PCAPLib: A System of Extracting, Classifying, and Anonymizing Real Packet Traces," IEEE Systems Journal, page 1-12, May 2014. Ying-Dar Lin, Chun-Nan Lu, Yuan-Cheng Lai, Zongo Pawendtaore Eliezer, "Bug Traces: Identifying and Downsizing Packet Traces with Failures Triggered in Networking Devices," IEEE Communications Magazine, Volume 52, Issue 4, April 2014. Ying-Dar Lin, Chia-Yin Lee, Yu-Sung Wu, Pei-Hsiu Ho, Fu-Yu Wang, Yi-Lang Tsai, "Active versus Passive Malware Collection," IEEE Computer, Vol. 47, Issue. 4, April 2014. Ying-Dar Lin, Tzung-Bi Shih, Yu-Sung Wu, Yuan-Cheng Lai, "Secure and Transparent Network Traffic Replay, Redirect, Relay in a Dynamic Malware Analysis Environment," Security and Communication Networks, Vol. 7, Issue. 3, March 2014. Ying-Dar Lin, Chia-Yin Lee, Hao-Chuan Tsai, "Redefining Security Criteria for Networking Devices with Case Studies," IEEE Security & Privacy, Vol. 12, Issue. 1, January-February 2014. Ying-Dar Lin, Edward T.-H. Chu, Shang-Che Yu, Yuan-Cheng Lai, "Improving Accuracy of Automated GUI Testing for Embedded Systems," IEEE Software, issue 99, January/February 2014. Ying-Dar Lin, Chun-Nan Lu, Jose Miguel Sagastume, Jui-Tsun Hung, and Yuan-Cheng Lai, "On Event Reproduction Ratio in Stateless and Stateful Replay of Real-World Traffic," Journal of Communications Software and Systems, Vol. 9, No. 4, December 2013. Ying-Dar Lin, Yuan-Cheng Lai, Cheng-Yuan Ho, Wei-Hsuan Tai, "Creditability-based Weighted Voting for Reducing False Positives and Negatives in Intrusion Detection," Computers & Security, Vol. 39, Part B, October 2013. Ying-Dar Lin, Kuei-Chung Chang, Yuan-Cheng Lai, Yu-Sheng Lai, "Reconfigurable Multi-Resolution Performance Profiling in Android Applications," IEICE Transactions on Information and Systems, Vol. E96-D, No.9, September 2013. Ying-Dar Lin, Yuan-Cheng Lai, Chien-Hung Chen, and Hao-Chuan Tsai, "Identifying Android Malicious Repackaged Applications by Thread-grained System Call Sequences," Computers & Security, Vol. 39, Part B, August 2013. Ying-Dar Lin, Cheng-Yuan Ho, Yuan-Cheng Lai, Tzu-Hsiung Du, Shun-Lee Chang, "Booting, Browsing and Streaming Time Profiling, and Bottleneck Analysis on Android-Based Systems," Journal of Network and Computer Applications (JNCA), Vol. 36, Issue. 4, March 2013. I-Wei Chen, Po-Ching Lin, Tsung-Huan Cheng, Chi-Chung Luo, Ying-Dar Lin, Yuan-Cheng Lai, Frank C. Lin, "Extracting Ambiguous Sessions from Real Traffic with Intrusion Prevention Systems," International Journal of Network Security, Vol.14, No.5, September 2012. Cheng-Yuan Ho, Ying-Dar Lin, Yuan-Cheng Lai, I-Wei Chen, Fu-Yu Wang and Wei-Hsuan Tai, "False Positives and Negatives from Real Traffic with Intrusion Detection/Prevention Systems," International Journal of Future Computer and Communication, Vol.1, No.2, August 2012. Ying-Dar Lin, Po-Ching Lin, Tsung-Huan Cheng, I-Wei Chen, Yuan-Cheng Lai, "Low-Storage Capture and Loss-Recovery Selective Replay of Real Flows," IEEE Communications Magazine, Volume 50, Issue 4, April 2012. Ying-Dar Lin, Chi-Heng Chou, Yuan-Cheng Lai, Tze-Yau Huang, Simon Chung, Jui-Tsun Hung, Frank C. Lin, "Test Coverage Optimization for Large Code Problems," Journal of Systems and Software, Volume 85, Issue 1, January 2012. Tsung-Huan Cheng, Ying-Dar Lin, Yuan-Cheng Lai, Po-Ching Lin, "Evasion Techniques: Sneaking through Your Intrusion Detection/Prevention Systems," IEEE Communications Surveys and Tutorials, Volume 13, Issue 4, 2011. Marco Conti, Song Chong, Serge Fdida, Weijia Jia, Holger Karl, Ying-Dar Lin, Petri Mahonen, Martin Maier, Refik Molva, Steve Uhlig, Moshe Zukerman, "Research Challenges Towards the Future Internet," Computer Communications, Volume 34, Issue 18, December 2011. Ying-Dar Lin, Fan-Cheng Wu, Tze-Yau Huang, Yuan-Cheng Lai, Frank C. Lin, "Embedded TaintTracker: Lightweight Run-time Tracking of Taint Data Against Buffer Overflow Attacks," IEICE Transactions on Information and Systems, Vol. E94.D, No. 11, pp.2129-2138, 2011 . Kuochen Wang, Chun-Ying, Huang, Shang-Jyh Lin, Ying-Dar Lin, "A Fuzzy Pattern-based Filtering Algorithm for Botnet Detection," Elsevier Computer Networks, Volume 55, Issue 15, pp. 3275-3286, October 2011. Mohammad Behdadfar, Hossein Saidi, Massoud Reza Hashemi, and Ying-Dar Lin, "Coded and Scalar Prefix Trees: Prefix Matching Using the Novel Idea of Double Relation Chains," ETRI Journal, Vol. 33, No. 3, June 2011. Ying-Dar Lin, Shun-Lee Chang, Jui-Hung Yeh, Shau-Yu Cheng, "Indoor Deployment of IEEE 802.11s Mesh Networks: Lessons and Guidelines," Ad Hoc Networks, May 2011. Po-Ching Lin, Ying-Dar Lin, Yuan-Cheng Lai, Tsern-Huei Lee, "A Hybrid Algorithm of Backward Hashing and Automaton Tracking for Virus Scanning," IEEE Transactions on Computers, Vol. 60, No. 4, pp. 594-601, April 2011. Chia-Yu Ku, Ying-Dar Lin, Shiao-Li Tsao, Yuan-Cheng Lai, "Utilizing Multiple Channels with Less Radios in Wireless Mesh Networks," IEEE Transactions on Vehicular Technology, Vol. 60, Issue 1, pp. 263-275, January 2011. Cheng-Yuan Ho, Fu-Yu Wang, Chien-Chao Tseng, Ying-Dar Lin, "NAT-Compatibility Testbed: An Environment to Automatically Verify Direct Connection Rate," IEEE Communications Letters, Vol. 15, Issue 1, pp. 4-6, January 2011. Cheng-Yuan Ho, Chien-Chao Tseng, Fu-Yu Wang, Jui-Tang Wang, and Ying-Dar Lin, "To Call or to Be Called behind NATs Is Sensitive in Solving the Direct Connection Problem," IEEE Communications Letters, Vol. 15, Issue 1, pp. 94-96, January 2011. Ying-Dar Lin, Chien-Chao Tseng, Cheng-Yuan Ho, and Yu-Hsien Wu, "How NAT-Compatible are VoIP Applications?," IEEE Communications Magazine, Vol. 48, Issue 12, pp. 58-65, December 2010. Ying-Dar Lin, I-Wei Chen, Po-Ching Lin, Chang-Sheng Chen, Chun-Hung Hsu, "On Campus Beta Site: Architecture Designs, Operational Experience, and Top Product Defects," IEEE Communications Magazine, Vol. 48, Issue 12, December 2010. Yi-Neng Lin, Chiuan-Hung Lin, Ying-Dar Lin, Yuan-Cheng Lai, "VPN Gateways over Network Processors: Implementation and Evaluation," Journal of Internet Technology, Vol. 11, No. 4, July 2010. Ying-Dar Lin, Shiao-Li Tsao, Shun-Lee Chang, Shau-Yu Cheng, and Chia-Yu Ku, "Design Issues and Experimental Studies of Wireless LAN Mesh," IEEE Wireless Communications, Vol. 17, Issue 2, pp. 32-40, April 2010. Yi-Neng Lin, Ying-Dar Lin, and Yuan-Cheng Lai, "Thread Allocation in CMP-based Multithreaded Network Processors," Parallel Computing, vol. 36, issues 2-3, pp. 104-116, Feb./March 2010. Ying-Dar Lin, Po-Ching Lin, Tai-Ying Liu, Yuan-Cheng Lai and Tsern-Huei Lee, "Hardware-Software Codesign for High-Speed Signature-based Virus Scanning," IEEE Micro, vol. 29, no. 5, pp. 56-65, Sep./Oct. 2009. Ying-Dar Lin, Chun-Nan Lu, Yuan-Cheng Lai, Wei-Hao Peng, and Po-Ching Lin, "Application Classification Using Packet Size Distribution and Port Association," Journal of Network and Computer Applications, Vol. 32, Issue 5, pp. 1023-1030, September 2009. Po-Ching Lin, Ying-Dar Lin, Yi-Jun Zheng, Yuan-Cheng Lai and Tsern-Huei Lee, "Realizing a Sub-linear Time String-Matching Algorithm with a Hardware Accelerator Using Bloom Filters," IEEE Transactions on VLSI Systems, Vol. 17, No. 8, pp. 1008-1020, August 2009. Ying-Dar Lin, Juei-Hung Yeh, Tsung-Hsien Yang, Chia-Yu Ku, Shiao-Li Tsao, Yuan-Cheng Lai, "Efficient Dynamic Frame Aggregation in IEEE 802.11s Mesh Networks," International Journal of Communication Systems, Vol. 22, Issue 10, pp. 1319-1338, June 2009. Kuo-Kun Tseng, Yuan-Cheng Lai, Ying-Dar Lin, Tsern-Huei Lee, "A Fast Scalable Automaton Matching Accelerator for Embedded Content Processors," ACM Transactions on Embedded Computing Systems, Vol. 8, No. 3, Article 19, April 2009. Yi-Neng Lin, Che-Wen Wu, Ying-Dar Lin, Yuan-Cheng Lai, "Highest Urgency First (HUF): A Latency and Modulation Aware Bandwidth Allocation Algorithm for WiMAX Base Stations," Computer Communications, Volume 32, Issue 2, Pages 332-342, 12 February 2009. Ying-Dar Lin, Po-Ching Lin, Meng-Fu Tasi, Tsao-Jiang Chang and Yuan-Cheng Lai, "kP2PADM: An In-kernel Architecture of P2P Management Gateway," IEICE Transanctions Information and Systems, vol.E91-D, No.10, Oct. 2008. Shih-Chiang Tsao, Yuan-Cheng Lai, Le-Chi Tsao, Ying-Dar Lin, "On Applying Fair Queuing Discipline to Schedule Requests at Access Gateway for Downlink Differential QoS," Computer Networks, Sep. 2008. Ying-Dar Lin, Ching-Ming Tien, Shih-Chiang Tsao, Shuo-Yen Wen, Yuan-Cheng Lai, "Request Scheduling for Differentiated Web QoS at Website Gateways," Journal of Internet Technology, Vol 9, No. 3, Aug 2008. Yi-Neng Lin, Ying-Dar Lin, Yuan-Cheng Lai, "Modeling and Analysis of Core-centric Network Processors," ACM Transactions on Embedded Computing Systems, Vol. 7, No. 4, Article 41, July 2008. Ying-Dar Lin, Ching-Ming Tien, Shih-Chiang Tsao, Ruo-Hua Feng, Yuan-Cheng Lai, "Multi-Resource Request Scheduling for Differentiated QoS at Website Gateways," Computer Communications, Vol. 31, Issue 10, pp. 1993-2004, June 2008. Chi-Heng Chou, Tsung-Hsien Yang, Shih-Chiang Tsao, and Ying-Dar Lin, "Standard Operating Procedures for Embedded Linux Systems," Linux Journal, Issue 160, pp. 88-92, Aug 2007. Kuo-Kun Tseng, Ying-Dar Lin, Tsern-Huei Lee, Yuan-Cheng Lai, "Deterministic High-Speed Root-Hashing Automaton Matching Coprocessor for Embedded Network Processor," ACM Computer Architecture News, Vol. 35, Issue 3, pp. 36-43, June 2007. Ying-Dar Lin, Shih-Chiang Tsao, Un-Pio Leong, "On-the-Fly TCP Path Selection Algorithm in Access Link Load Balancing," Computer Communications, Vol. 30, Issue 2, pp. 351-357, January 2007. [SCI, EI]. Po-Ching Lin, Zhi-Xiang Li, Ying-Dar Lin, Yuan-Cheng Lai, "Profiling and Accelerating String Matching Algorithms in Three Network Content Security Applications ," IEEE Communications Surveys and Tutorials, 2nd quarter, 2006. Huan-Yun Wei and Ying-Dar Lin, "A Survey and Measurement-Based Comparison of Bandwidth Management Techniques," IEEE Communications Surveys and Tutorials, Vol.5 No.2, 4th Quarter 2003. Ying-Dar Lin, Huan-Yun Wei, Shao-Tang Yu, "Building an Integrated Security Gateway: Mechanisms, Performance Evaluation, Implementation, and Research Issues," IEEE Communication Surveys and Tutorials, Vol.4, No.1, third quarter, 2002. Yu-Ching Hsu and Ying-Dar Lin, "Multihop Cellular: A Novel Architecture for Wireless Data Communications," Journal of Communication and Networks, 2002, vol. 4, no. 1, pp. 30-39, 2002; an extended version of Ying-Dar Lin and Yu-Ching Hsu, "Multihop Cellular: A New Architecture for Wireless Communications," IEEE INFOCOM, Tel Aviv, Israel, March 2000. Ying-Dar Lin, Nai-Bin Hsu, Ren-Hung Hwang, "Granularity of QoS Routing in MPLS Networks," Lecture Notes in Computer Science, Vol. 2092 (Proceedings of IWQoS 2001), pp. 140-154, Springer, June 2001. Ying-Dar Lin, Nai-Bin Hsu, Ren-Hung Hwang, "RP Relocation Extension to PIM-SM Multicast Routing," IETF Internet-Draft, draft-ydlin-pim-sm-rp-00.txt, April 2001; also RPIM-SM: Extending PIM-SM for RP Relocation, Computer Communications, Volume 25, Issue 18-1, December 2002, pp. 1774-1781. Ying-Dar Lin, Wei-Ming Yin, Chen-Yu Huang, "An Investigation on HFC MAC Protocols: Design, Analysis, and Implementation Issues," IEEE Communications Surveys, vol.3, no.3, third quarter 2000. Shang-Chieh Wu and Ying-Dar Lin, "A Novel Pairing Algorithm for Highspeed Large-Scale Switches," IEEE Communications Letters, vol. 4, no. 1, pp.23-25, January 2000. Ying-Dar Lin, Chien Chou, Yuan-Cheng Lai, and Wen-Chung Wu, "WebCAT* - A Web-Centric, Multi-Server, Computer-Assisted Testing System," International Journal of Educational Telecommunications, vol. 5, no. 3, pp.171-192, 1999. Ying-Dar Lin, "On IEEE 802.14 Medium Access Control Protocol," IEEE Communications Surveys, September 1998. Chi-Yu Li, Hsueh-Yang Liu, Po-Hao Huang, Hsu-Tung Chien, Guan-Hua Tu, Pei-Yuan Hong, and Ying-Dar Lin, "Mobile Edge Computing Platform Deployment in 4G LTE Networks: A Middlebox Approach," Usenix HotEdge'18, July 2018. Deepak Singh, Bryan Ng, Yuan-Cheng Lai, Ying-Dar Lin and Winston Seah, "Modeling Switches with Internal Buffering in Software-Defined Networks," IEEE International Conference on Computer Communications and Networks (ICCCN), July 2018. Ying-Dar Lin, Hsu-Tung Chien, Hsien-Wen Chang and Chia-Lin Lai, "Multi-operator Fairness in Transparent RAN Sharing," Workshop on Computing, Networking and Communications (CNC), Maui, Hawaii, March 2018. Yuan-Cheng, Lai, Ahsan Ali, Md. Mahadi Hassan, Md. Shohrab Hossain and Ying-Dar Lin, "Performance Modeling and Analysis of TCP Connections over Software Defined Networks," IEEE Globecom, Singapore, Dec. 2017. Deepak Singh, Bryan Ng, Yuan-Cheng Lai, Ying-Dar Lin, Winston K. G. Seah, "Modelling Software-Defined Networking: Switch Design with Finite Buffer and Priority Queueing," IEEE Conference on Local Computer Networks, Singapore, October 2017. Ying-Dar Lin, Edward T.-H. Chu, Chien-Ling Wen, Yuan-Cheng Lai, "Benchmarking Handheld GUI: Smoothness QoE," International Multi-Conference on Engineering and Technology Innovation, Hua-Lien, Taiwan, October 2017. Ahmed Fahmin, Yuan-Cheng Lai, Md. Shohrab Hossain, Ying-Dar Lin, and Dipon Saha, "Performance Modeling of SDN with NFV under or aside the Controller," IEEE International Symposium on Performance Modeling and Evaluation of Computer and Telecommunication Networks (PMECT), Prague, August 2017. Yao-Chun Wang, Ying-Dar Lin, Guey-Yun Chang, "SDN-Based Dynamic Multipath Forwarding for Inter-Data Center Networking", IEEE LANMAN, Osaka, Japan, June 2017. Minh-Tuan Thai, Ying-Dar Lin, Po-Ching Lin, Yuan-Cheng Lai, "Hash-based Load Balanced Traffic Steering on Softswitches for Chaining Virtualized Network Functions," IEEE ICC, 2017. Chun-Nan Lu, Yuan-Cheng Lai, Chun-Ying Huang, and Ying-Dar Lin, "Hardware Design for Statistical Network Traffic Classifiers," 2nd IEEE International Conference on Computer and Communications (ICCC), Chengdu, China, October 2016. Y. D. Lin, H. Y. Deng, C. R. Hsu, C. C. Liao, Y. C. Lai, "Fast failover and switchover for link failures and congestion in software defined networks," IEEE ICC, May 2016. Minh-Tuan Thai, Ying-Dar Lin, Yuan-Cheng Lai, "A joint network and server load balancing algorithm for chaining virtualized network functions", IEEE ICC, May 2016. 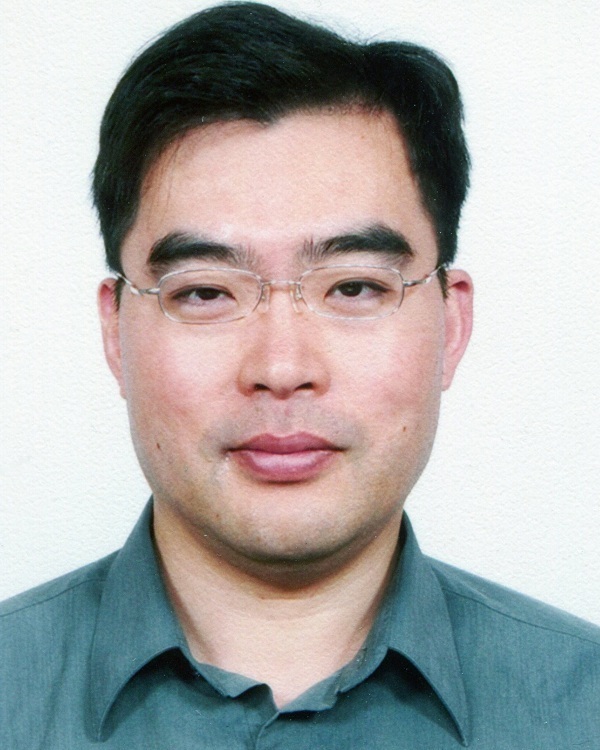 Ekarat Rattagan, Edward T.-H. Chu, Ying-Dar Lin, Yuan-Cheng Lai, "Semi-online Power Estimation For Smartphone Hardware Components", IEEE International Symposium on Industrial Embadded System(SIES), Siegen, Germany, June 8-10, 2015. Ying-Dar Lin, Li-Ping Tung, Yun-Hao Liang and Chia-Yu Ku, "PCT and IOT in LTE Networks: A Study on Test Cases and Test Results," 10th International Conference on Testbeds and Research Infrastructures for the Development of Networks & Communities (TRIDENTCOM), Vancouver, Canada, June 23-25, 2015. Syama Varma, Krishna M. Sivalingam, Li-Ping Tung and Ying-Dar Lin, "Dynamic DRX Algorithms for Reduced Energy Consumption and Delay in LTE Networks", Wireless Days, Rio, Brazil, Nov. 2014. Li-Ping Tung, Ying-Dar Lin, Yu-Hsien Kuo, Yuan-Cheng Lai, Krishna Sivalingam, "Reducing Power Consumption in LTE Data Scheduling with the Constraints of Channel Condition and QoS," International Conference on Computing, Networking, and Communications (ICNC), Feb 2014. Cheng-Yuan Ho, Ying-Dar Lin, Yuan-Cheng Lai, I-Wei Chen, Fu-Yu Wang and Wei-Hsuan Tai, "False Positives and Negatives from Real Traffic with Intrusion Detection/Prevention Systems," 2012 International Conference on Advancements in Information Technology, Hong Kong, June 2012. Chia-Yu Ku, Ying-Dar Lin, Yuan-Cheng Lai, Pei-Hsuan Li, Kate Ching-Ju Lin, "Real Traffic Replay over WLAN with Environment Emulation," IEEE Wireeless Communications and Networking Conference (WCNC 2012), Paris, France, April 2012. Chun-Nan Lu, Chun-Ying Huang, Ying-Dar Lin, Yuan-Cheng Lai, "Session Level Flow Classification by Packet Size Distribution and Session Grouping," Frontiers of Information Systems and Network Applications (FINA-2012), Fukuoka, Japan, March 2012. Ying-Dar Lin, Chi-Heng Chou, Yuan-Cheng Lai, Tse-Yau Huang, Simon Chung, Jui-Tsun Hung, Frank C. Lin, "Test Coverage Optimization for Large Code Problems," Frontiers of Information Systems and Network Applications (FINA-2012), Fukuoka, Japan, March 2012. Ying-Dar Lin, Fan-Cheng Wu, Yuan-Cheng Lai, Tze-Yau Huang, Frank Lin, "Embedded TaintTracker: Lightweight Tracking of Taint Data against Buffer Overflow Attacks," IEEE ICC, May 2010. I-Wei Chen, Po-Ching Lin, Chi-Chung Luo, Tsung-Huan Cheng, Ying-Dar Lin, Yuan-Cheng Lai, Frank Lin, "Extracting Attack Sessions from Real Traffic with Intrusion Prevention Systems," ICC (International Conference on Communications), Dresden, Germany, Jun. 2009. Yi-Neng Lin, Che-Wen Wu, Ying-Dar Lin, and Yuan-Cheng Lai, "Latency and Modulation Aware Bandwidth Allocation Algorithm for WiMAX Base Stations," IEEE Wireeless Communications and Networking Conference (WCNC'08), Las Vegas, March 2008. Yi-Neng Lin, Ying-Dar Lin, Yuan-Cheng Lai, "Thread Allocation in Chip Multiprocessor Based Multithreaded Network Processors," IEEE 22nd International Conference on Advanced Information Networking and Applications (AINA'08), Okinawa, Japan, March 2008. Ying-Dar Lin, Ching-Ming Tien, Shih-Chiang Tsao, Ruo-Hua Feng, Yuan-Cheng Lai, "Multiple-Resource Request Scheduling for Differentiated QoS at Website Gateway," IEEE 22nd International Conference on Advanced Information Networking and Applications (AINA'08), Okinawa, Japan, March 2008. Ying-Dar Lin, Kuo-Kun Tseng, Chen-Chou Hung and Yuan-Cheng Lai, "Scalable Automaton Matching for High-Speed Deep Content Inspection," IEEE AINA, Niagara Falls, Canada, May 2007. Ying-Dar Lin, Po-Ching Lin, Meng-Fu Tsai, Tsao-Jiang Chang and Yuan-Cheng Lai, "kP2PADM: An In-kernel Gateway Architecture for Managing P2P Traffic," Proc. HotP2P, Long Beach, CA, Mar 2007. Ching-Ming Tien, Cho-Jun Lee, Po-Wen Cheng, Ying-Dar Lin, "SOAP Request Scheduling for Differentiated Quality of Services," Web Information Systems Quality Workshop (WISQ), New York, November 2005. Ying-Dar, Szu-Hao Chen, Po-Ching Lin and Yuang-Chen Lai, "A Stream-based Mail Proxy with Interleaved Docompression and Virus Scanning," IASTED SEA (Software Enginneering and Applications), Phoenix, AZ, Nov. 2005. Huan-Yun Wei and Ying-Dar Lin, "On Evaluating Bandwidth Management Devices," Testcom 2003, Sophos Antipolis, France, May 2003. Ying-Dar Lin, Yi-Neng Lin, Shun-Chin Yang, Yu-Sheng Lin, "DiffServ over Network Processors: Implementation and Evaluation," IEEE Hot Interconnects 10, Stanford University, Palo Alto, August 2002. Ying-Dar Lin, Nai-Bin Hsu, Ren-Hung Hwang, "Granularity of QoS Routing in MPLS Networks," 9th International Workshop on Quality of Service, Karlsruhe, Germany, June 2001. Ying-Dar Lin, Huan-Yun Wei, Kuo-Jui Wu, "Ordered Lookup with Bypass Matching for Scalable Packet Classification in Layer 4 Routers," NetWorld+Interop 2000 Engineers Conference on Broadband Internet Access, Las Vegas, USA, May 2000. Wei-Ming Yin and Ying-Dar Lin, "Statistical Optimized Slot Allocation in Cable Networks," NetWorld+Interop 2000 Engineers Conference on Broadband Internet Access, Las Vegas, USA, May 2000. Ying-Dar Lin and Yu-Ching Hsu, "Multihop Cellular: A New Architecture for Wireless Communications," IEEE INFOCOM, Tel Aviv, Israel, March 2000. Ying-Dar Lin, Yu-Ching Hsu, Kuan-Wen Oyang, Dong-Su Yang, Tzu-Chieh Tsai, "Multihop Wireless IEEE 802.11 LANs: A Prototype Implementation," IEEE International Conference on Communications, Vancouver, Canada, June 1999. Ying-Dar Lin, Yuan-Cheng Lai, and Shiou-Fen Horng, "The Dual Flow Control Problem of TCP over ATM ABR Services," NetWorld+Interop '99 Engineers Conference on Broadband Internet Access, Las Vegas, USA, May 1999. Ying-Dar Lin and Chun-Mo Liu, "A Timestamp-Sensitive Scheduling Algorithm for MPEG-II Multiplexers in CATV Networks," International Conference on Information Networking (ICOIN), Cheju Island, Korea, January 1999. Yuan-Cheng Lai and Ying-Dar Lin, "Interoperability of EFCI and ER Switches for ABR Services in ATM Networks," IEEE International Symposium on Computer Communications, Athens, Greece, June 1998. Yu-Ching Hsu, Tzu-Chieh Tsai, and Ying-Dar Lin, "QoS Routing in Multihop Packet Radio Environment," IEEE International Symposium on Computer Communications, Athens, Greece, June 1998. Ying-Dar Lin and Chia-Jen Wu, "An HFC MAC Protocol for Interactive CATV Networks," in Proceedings of 8th IEEE Workshop on Local and Metropolitan Area Networks, Berlin, Germany, August 1996. Ying-Dar Lin and Mario Gerla, "A Framwork for Learning and Inference in Network Management," Proceedings of IEEE Globecom, Orlando, USA, pp.560-564, December 1992. Ying-Dar Lin, Steve Holmgern, Cedric Druce, and Franklin James, "Traffic Pattern Reproduction and Manipulation for LAN-to-LAN SMDS Experments," Proceedings of IEEE International Conference on Communications, Chicago, USA, pp.219.1.1-7, June 1992. Mario Gerla and Ying-Dar Lin, "Network Management Using Database Discovery Tools," Proceedings of IEEE 16th Conference on Local Computer Networks, Minneapolis, USA, pp.378-385, October 1991. Mario Gerla and Ying-Dar Lin, "Network/Intelligence : An Experiment on Interconnected LANs," Proceedings of Workshop on Knowledge Discovery in Database, AAAI National Conference on Aritifical Intelligence, Anaheim, USA, pp.254-260, July 1991. Chih-Chiang Chuang, Yeali S. Sun, Ying-Dar Lin, "Dynamic Resizing of Utilization Target in Measurement-based Admission Control," International Computer Symposium, Chia-Yi, December 2000. Ying-Dar Lin, Huan-Yun Wei, Kuo-Jui Wu, "Ordered Lookup with Bypass Matching for Scalable Per-Flow Classification in Layer 4 Routers," International Computer Symposium, Chia-Yi, December 2000. Ying-Dar Lin and Chen-Yu Huang, "Comparing IEEE 802.14 and MCNS Standards for Hybrid Fiber Coaxial Networks," International Computer Symposium, Tainan, December 1998. Ying-Dar Lin, Yuan-Cheng Lai, and Wen-Chung Wu, "WebCAT*- A Web-centric Multi-server Computer Assisted Testing System," Seventh International Conference on Computer-Assisted Instruction, Kaohsiung, March 1998. Ying-Dar Lin, "On IEEE 802.14 Medium Access Control Protocols," National Computer Symposium, Taichung, December 1997. Yuan-Cheng Lai and Ying-Dar Lin, "The Placement of ER Switches in the Heterogenous ATM Environments," National Computer Symposium, Taichung, December 1997. Yuan-Cheng Lai, Ying-Dar Lin, Hsiu-Fen Hung, "The Problem of TCP over ATM EPRCA Rate-based Flow Control," National Computer Symposium, Taichung, December 1997. Yu-Lin Chang and Ying-Dar Lin, "Design and Implementation of Electronic Programming Guide in VOD-like Services over CATV," 3rd Workshop on Real-time and Media Systems (RAMS'97), Academia Sinica, Taipei, July 1997. Ying-Dar Lin, Ming-Horng Chang, and Yuan-Cheng Lai, "CORAL*:A Multi-server Distant Cooperative Learning System," Sixth International Conference on Computer-Assisted Instruction, Taipei, April 1997. Ying-Dar Lin, Wei-Jer Yu, and Yuan-Cheng Lai, "A Scalable Desktop Distant Teaching System," Sixth International Conference on Computer-Assisted Instruction, Taipei, April 1997. Ying-Dar Lin and Chia-Jen Wu, "NII Community Nets: Interactive CATV Networks," in Proceedings of International Conference on Computer Systems Technology for Industrial Applications, pp.177-184, Hsinchu, Taiwan, April 1996. Jau-Ming Jan and Ying-Dar Lin, "On MPEG II Techniques: Compression, Multiplexing and Transport," in Proceedings of International Conference on Computer Systems Technology for Industrial Applications, pp.284-291, Hsinchu, Taiwan, April 1996. Ying-Dar Lin, "A Wide Area Networked CAL System over Internet for the Distant Cooperative Learning Environment," Proceedings of Fourth International Conference on Computer Assisted Instruction, Hsinchu, S4-1, March 1995. (1) Taiwan patent application: SDN共享樹群播串流機制與方法: I607693, filed, Dec. 2017. (2) US patent number: , filed, May, 2016. (1) Taiwan patent number: 59948-TW-PA.pdf, 網路通訊系統、軟體定義網路控制器及其路由方法, August 2017. (2) US patent number: US-2017-0207994-A1, July 20, 2017. (1) US patent number: US US9973350 B2, Dec. 1, 2016. (1) Taiwan patent number: 53182-TW-PA, 53182-TW-PA-Announce. 資源分配方法、基地台、資源請求方法及使用者設備, filed, October 2016. (1) Taiwan patent application: 可程式化網路之路徑保護機制, filed, May 2016. (1) Taiwan patent number: I514823. 基於訊息長度序列之網路流量辨識系統及其方法, December 2015. (1) Taiwan patent number: I512451. 以符號迴歸分群法量測可攜式電子裝置應用程式之耗電, December 2015. (1) Taiwan patent number: I512594. 圖形使用者介面測試方法及測試裝置, June 2015. (1) Taiwan patent number: 49984-TW-PA, 雙階排程方法、電腦程式產品, August 2015. (1) Taiwan patent application: 資料偵測系統, filed, November 2013. (1) Taiwan patent application: 用於長期演進技術中省電資料排程系統及其方法, filed, November 2013. (2) US patent number: US 9386523 B2, March 2016. (1) US patent number: US 8943348 B2, January 27, 2015. (1) Taiwan patents number: I393477, 在無線寬頻基地台的延遲與調變感知動態頻寬分配之方法, April 2013. (1) US patent number: US 8938535 B2, January 20, 2015. (1) Taiwan patent number: I355168, 在網路流量中分類所屬應用程式之方法, December 2011. (1) Taiwan patent number: 40309-TW-PA, 考慮耗時與耗電的卸載運算量的決策方法與運算系統, November, 2014. (2) US patent number: US 2013/0205158 A1, August, 2013. (1) Taiwan patent number: I428034, 錄製、還原與重播網路流量的方法, February, 2014. (2) US patent application, US 8505098 B2, August, 2013. (3) China patent, filed, 2011. (1) Taiwan patent application: 自動化分析與分類惡意程式之方法及系統, filed, November 2010. (2) US patent application, 20120124667, May 2012. (2)	US patent number: 7,482,955, January 2009. (1) Taiwan patent application, filed, August 2008. (1) Taiwan patent number: I319278, 應用於點對點閘道器上之辨別及管理系統及其方法, January 2010. (2) US patent application, filed, May 2007. (1) Taiwan patent number: I276322, 利用類別/資源排程提供差別服務的系統及其方法, March 2007. (2) US patent pending number: 20070061464, May 2007. (1) Taiwan patents number: I269562, 在網路通道閘道器上提供差別服務之請求排程方法, December 2006. (1) Taiwan patent application, 應用Bloom filters實現次線性時間字串比對演算法之硬體加速器, filed, July 2006. (2) US patent application, filed, 2006. (1) Taiwan patent number: I257216, 在網路中繼點上提供差別服務品質之請求排程系統及其方法, June 2006. (2) China patent number: 100531180. August 2009. Stream-based virus scanning mechanism with on-the-fly interleaved decompression, Ying-Dar Lin, Szu-Hao Chen, Po-Ching Lin, Yuan-Chen Lai, Approved by NCTU in Feburary 2006, filed. (1) Taiwan patent number: I319278, 利用編解碼器技術之感知動態播放法及播放裝置, July 2005. (2) US patent number: 7,245,608, July 2007. (1) Taiwan patent number: I257781, 網路位址及埠號轉換方法、使用上述方法的裝置及儲存媒體, July 2006. (2) US patent pending number: 20050117588, June 2005. (1) Taiwan patent number: I234086, 網頁內容過濾方法, June 2005. (2) US patent number: 7,082,429, Method for web content filtering, July 2006. (1) Taiwan patent number: I223508, 一種量測封包型網路傳輸之目標播放品質的方法, November 2004. (2) US patent number: 7,142,517, November 2006. (1) Taiwan patent number: I237481, 雙向感知動態播放法及通訊裝置, August 2005. (2) US patent pending number: 20040066751, April 2004. (3) China pending number: 02146017.5. (1)Taiwan patent number: 527804, 應用後知悉控制進行ＴＣＰ通訊交通之頻寬管理方法及系統, April 2003. (2) US patent pending number: 20020176443, May 2002. (1)Taiwan patent number: 480858, 服務品質路由與轉送之延展性的設計, March 2002. (2) US patent number: 6,738,387, May 2004. (1) Taiwan patent number: 454134, 自動化動態測驗題目收集與鑑別之方法, September 2001. (2) US patent pending number: 20020160348, October 2002. (1) Taiwan patent number: 398145, 應用於視訊多工器上以時間標記為依據之排程方法, January 2001. (1) Taiwan patent number: 416254, 網路輸入／輸出端之多分枝型配對方法, December 2000. (1)Taiwan patent number: 453075, 多點對一點網路上媒介存取控制的最佳化競爭範圍分配方法, February 2000. (2)US patent number: 6,754,225, June 2004. (1) Taiwan patent number: 309685, 傳輸系統之上行多重存取的控制方法, June 1997. (2) US patent number: 6,031,844 , February 2000.